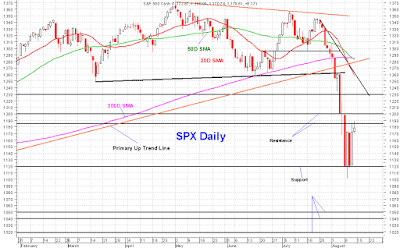 I scaled (1/6) into 3 indices, planning to put another 1/6 to work sometime Mon AM. 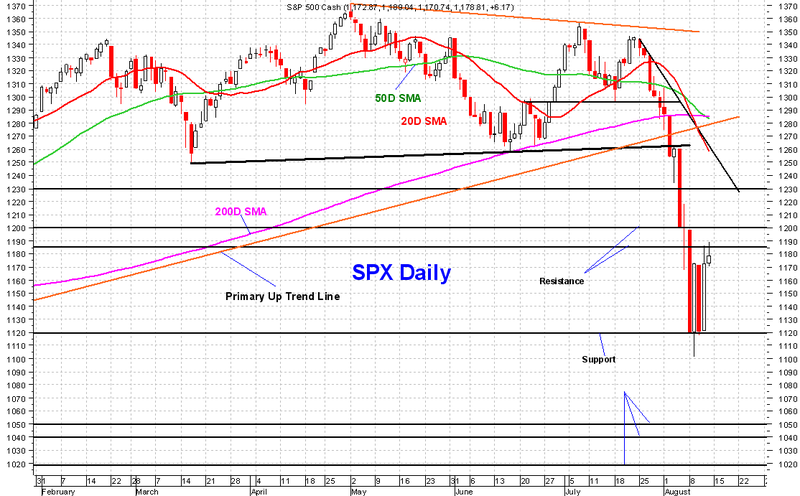 I believe SPX is on its way to retest key previous support levels that have become resistance now. They are 1200 and 1230, give or take a few points. What is to happen after that is totally unknown and depends entirely on what the Fed and ECB decide to do. If they roll in QE-III and its equivalent in Europe, indices would explode to the upside. If they don't, then indices will sell off to retest lows put in last week. My guess is that something big and bold will be announced soon (late August- early September at the latest). I made an error in my analysis to determine the status of SGS on 8/4. SGS didn't change from "Short" to "Neutral" as of close of 8/4, it actually went "Neutral" as of close of Tuesday 8/9.